Let’s put all of the clichés to the side for a minute. Going out, drinking, fishing dock, pretty red lips, yada yada yada. They’re all here, as uninteresting as ever. But what makes no sense to me is the lite rock arrangement. A song about getting back to nature and being in the country, isolated from the rest of the world, begs for a twangy arrangement dominated by acoustic instruments. Maybe that’s why so much of this wave of country keeps striking a dissonant chord with longtime fans of the genre. They’re singing about being country on records that sound nothing like country. What a colossal waste of time and energy. I don’t understand why Shane McAnally blows ever more of his credibility working with people like Chase Rice and Sam Hunt. If he didn’t sound country but he sounded good and the melody and lyrics were good i wouldn’t mind. This song fails in every respect. I don’t get it either. Has anyone asked them that? 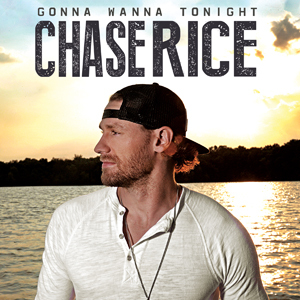 I like some of Chase Rice’s work. Songs like “Room 504”, “PB&J’s and PBR’s”, and “Only A Country Girl” aren’t awful songs and he does a fine job of selling those songs. I don’t understand why he continues to be Luke Bryan lite other than for cheap chart success. I guess that is it. Chase Rice may be one of the worst vocalist that is out there today in country music. And that is with him competing with such vocal stalwarts as Brian Kelly from Florida Georgia Line, Jason Aldean and Cole Swizzel. I remember seeing this guy sing this song on Jimmy Fallon’s program and almost, almost feeling bad for how much he struggled to get through a live performance and how disinterested the studio audience was. Its fitting that his train-wreck of a live performance gets accompanied by a train-wreck of a song. Chase Rice just seems completely devoid of anything close to talent. Easy for me to say sitting behind a keyboard I guess, but I just don’t see anything redeeming in him. At least with some of the other Bro-Country artists they have stumbled upon a good song or two, but I have yet to hear a song by Chase Rice that qualifies as that. While I agree with you for the most part, in that I find Rice mostly unbearable, I recommend checking out “Jack Daniels and Jesus”. It is an absolute masterpiece, and nothing like Rice has ever recorded before. As for this song, I very much enjoy it from a sonic standpoint, even if it’s not very country. That said, these lyrics are insanely dull, so it gets a “C-” from me.